A huge thanks to Dolores Wirth for stepping up to handle the Spirit Wear Chair job of coordinating the T-Shirt Sales with a whopping 803 orders. Thank you to all of those parents and staff that submitted their forms and payments by the Friday deadline, thanks to Diane Herber for logging all the orders and to all of the volunteers who helped process the T-shirt orders every day last week: Nancy Norris, Natalie Paffrath, Brenda Thompson and all the other parents I did not name. Remember to visit the Gates PTA Facebook page to vote on the T-Shirt color: Link to Gates PTA Facebook Page. Gates PTA is looking for a Spirit Wear Chair for school year 2016-2017. If you are interested, send an email to gatespta@gmail.com or text me at 949-412-4875. Kids Run the OC (KROC) Registration took place on the first week of January and registration closed with 138 students. Thank you to all the families who adhered to the in person registration requirements and thank you to the volunteers who helped with the registrations: Lucy Kaneshiro, Dolores Wirth, Nancy Norris, Viviana McKeegan, Cesilia Vega, Robin Schnell, Julissa Salamanca, Francia Docheff, Brenda Thompson and Claudia Rodriguez-Zinn. The 2016 KROC Committee has been formed on Konstella listing the volunteer positions needed to run the program. I am chairing this event. For this program to run, please sign up for the crucial coaching positions. Coaches will be trained on Thursday, January 28 from 3-4pm in the field near the lunch tables. Gates PTA is looking for a KROC Chair for school year 2016-2017. If you would like to Chair this program to insure it is offered next year, send an email to gatespta@gmail.com or text me at 949-412-4875. Astronomy Night was held on Friday, January 15 and brought to you by Mr. Hickson, Acecy Buensuceso and Jennifer Hurtado. Thank you to all of the families that attended the event. All of the Star Lab shows were sold out with a total of 190 attendees. Special thanks to Henry Thomas who designed the wonderful Astronomy Night posters that were up all around campus and extra thanks to Henry for being the fabulous MC and DJ for the evening; thank you to Bernice and Rolando Chen and alumni John Kobe Vergara for running the Air Rocket Craft; the room was filled to capacity with busy parents and children building rockets so they could launch them in the field with rocket aficionado Fernando Martinez along with Kyle Salzman, Diego and Sofia Martinez and Morgan, Daniel, Taylor and Dalin Yee. Thank you to Victor Solis for running the Experiment room; Daniela Hernandez for running Solar System Bingo; King Vergara, Kenneth Smith and Stephanie Ocampo for running the Hoop Glider craft; Karen Loomis and Helen for taking on the challenge of running the Solar System Craft. Huge thanks to teachers: Mr. Rohr, Mr. Hickson and Ms. Oloriz for presenting Astronomy movies, Simulations and Google Mars & Stars; Ms. Jaeger, Mr. Chin, Ms. Von Aspen, Ms. Ruiz, Ms. Flagstad for letting us borrow their rooms for the evening. Thank you to the volunteers who translated the flyer, did setup, were cashiers, ran concessions, ran the spin the wheel table, and did cleanup: Silvia Ritterling, Paula Mahmoodiyeh, Brenda Thompson, Jennifer Hurtado, Sonia Maceranka, Bella Maceranka. Last but not least, thank you to the parents who donated desserts: Ana Silva, Indhira Gagnon and Bernice Chen. Gates PTA is looking for an Astronomy Night Chair for school year 2016-2017. If you would like to Chair this program to insure it is offered next year, send an email to gatespta@gmail.com or text me at 949-412-4875. Gates PTA just received a check from Box Tops totaling $1,587.30 for the collection in June 2015. Congratulations and thank you to all of the families who diligently cut Box Tops and turned them in last school year. January 2016 Box Top collections just finished last week. Thank you to Michelle Mendoza for chairing this fundraiser for a second year and thank you to all the volunteers who helped count Box Tops on Friday: Lori Hall, Bridget DiRico, Kristin Moore, Nancy Norris, Nohemi Miño, Stephanie Nix, Frank Yannarella, Elizabeth Rose, Mariana Bello, Katherine Coronel, Dolores Wirth, Laura and Brad Rauch, Erin Foellmi, Katie Ryan and Cindy Allen. It was a terrific turnout of volunteers. The funds earned will go towards all Programs and School Support for Gates Elementary. Gates PTA is looking for a Box Tops Chair for school year 2016-2017. If you are interested, send an email to gatespta@gmail.com. The Chili’s family dine out was held on January 20 in Foothill Ranch. Chili’s will donate 15% of sales back to Gates Elementary. Thank you to Bernice Torres for coordinating this fundraiser and to all of the families that participated. These dine outs are a nice opportunity to plan outings with the parents of your children’s best friends. Stay tuned for a possible family dine out in February at Corner Bakery in Lake Forest. The March family dine is booked on Wednesday, March 16th at Café Rio in Lake Forest. Flyer to be released 1st week in March. Hope to see you there. Gates PTA is looking for a Family Dine Out Chair for school year 2016-2017. If you are interested, send an email to gatespta@gmail.com. The Vision and Hearing Testing went smoothly on January 5th. Thank you to the parent volunteers who helped: Nancy Norris, Ellen Suselo, Brenda Thompson, Jezette Luster, Vicky Esquivel, Natalie Paffrath and Robin Schnell. Nominating committee elections. Attend the meeting to learn what is involved. Scheduled after the meeting, Ms. Estling will be the special guest speaker to present the AVID (Advancement via Individual Determination) program at Gates. First 30 adults in attendance will receive a door prize. Jog-a-Thon: Biggest fundraiser of the year. Jog-a-Thon information packets to go out soon. Rock Star Jog-a-thon Pep Rally Co-Organizer to help organize the kick off pep rally on February 10th from 1pm-2:45pm. Looking for those who would love to unleash their musical talent. Contact Dolores at Fundraising.gatespta@gmail.com or call or text at 949-636-7818. Rock Star Jog-a-thon Packet Assembly: Help prepare packets. 1-2 volunteers needed. Contact Dolores to help. Thank you to Dolores Wirth and Elizabeth Rose for coordinating this fundraiser for us. Gates PTA is looking for a Jog-a-thon Chair for school year 2016-2017. If you are interested, send an email to gatespta@gmail.com. If you are able to volunteer for all future Art Master lessons, please put an asterisk (*) next to your name so it will not be cleared for the next lesson. Catalog Fundraiser: For any outstanding order issues, please contact West Coast Fundraising at 1-800-258-3798 between 7am-3pm, or go online to www.kidsarefirst.com and click on ORDER ISSUES. The Jog-a-thon is one of the major fundraisers that helps to fund these wonderful programs for our children: Art Masters, Academic Assemblies, Field Trips for K to 6th grade and Family Fun Events. Email Dolores Wirth at fundraising.gatespta@gmail.com to get involved. This is the year to learn the ropes from Dolores because she will not be running the Jog-a-thon next school year and her youngest child will be moving on to Los Alisos Intermediate in the Fall of 2017. She has a wealth of knowledge to share so take advantage of this time. Insure that future generations continue to enjoy PTA Programs by taking on a big volunteer role in the Jog-a-thon. Family Fun Night – March 18 – Currently, no one is signed up to Chair this event. If you would like to see this event happen this year, please email gatespta@gmail.com by February 5, 2016. PTA Communications has fully transitioned to Konstella. If you know Gates parents who want to stay in the loop, please have them email communications.gatespta@gmail.com to receive an invitation to Konstella. Invest in our future, volunteer. Copyright © Ralph A Gates PTA 2019. All Rights Reserved. The mention of any business or service on this website does not imply or is not endorsed by Ralph A Gates PTA. Ralph A Gates PTA does not endorse, warrant or recommend any of these products or companies mention on this website. 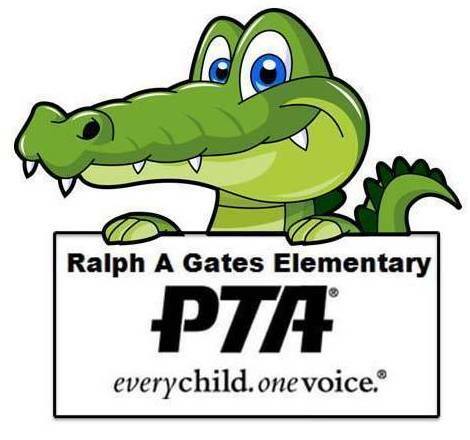 Ralph A Gates PTA will receive a small percentage of every sale to support programs for the Gates students. If you decide to purchase any products, we thank you.